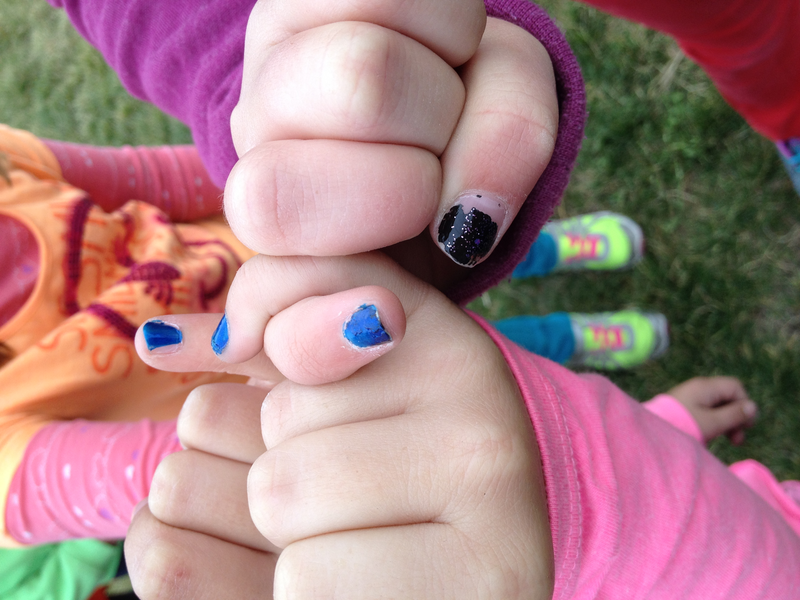 Our girls really loved painting their pinkies blue and taking the pinkie swear to not bully. Girls on the Run has a place in the hallway at Hunter and we printed all of the anti-bullying literature and put it up in the halls, along with pictures. Our principal loves what we have been putting up and so we may be getting out OWN bulletin board. Our practice 5K went great! We had music, race bibs, water bottles, and pictures taken. 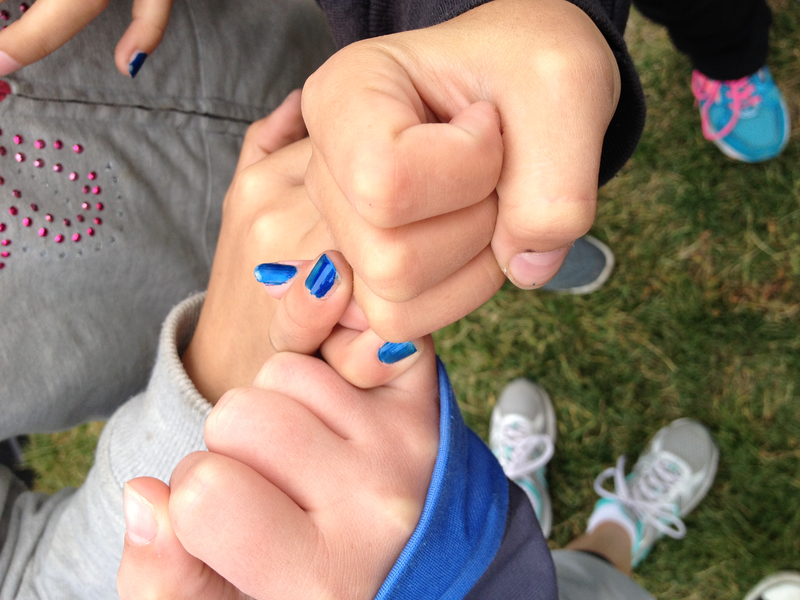 We had the wrong measurement for our track, so some of our girls did 4 miles instead of 3.1. They did great, even at the longer distance. This entry was posted in Sounds from the Sites and tagged bullying, Girls on the Run, GOTR, Hunter Elementary, Mean Stinks, pinkie swear. Bookmark the permalink.